Secondly, we have a new trading service that was due to be released last Tuesday evening but due to a must-have technical improvement for our Server Farm expansion, it got delayed a bit. We apologize to those anxiously awaiting this novel trading service (Beta A was released on August 20th). This report will come out every Sunday night and this week we will post some FAQs and General Guidelines for it. As they become available they will be posted on our Members Page. In next couple of weeks, www.OneChicago.com (the SSF Exchange) will sponsor a free webinar on our website and you are all welcome to attend. Any questions about this service should be sent to Support@HamzeiAnalytics.com or SuperHornets@HamzeiAnalytics.com. Link is not working - Page cannot be found. Edit: Noticed period on end of link. It needs to be deleted. As promised early this month, we are pleased to provide you with our Sigma Channel Compression Indicator for TradeStation (in ELD format). The code is set to execute till March 1st, 2007 free of charge. After that you need to be a subscriber to our Proprietary Indicators Package. The code measures the normalized value of distance between +3 sigma and -3 sigma as a unbiased gauge for volatility compression or expansion. Train your eyes to look for severe channel compression in concert with a fast momentum/trend indicator (of course, here, we are partial to our own CI) as way of detecting both timing and direction of an explosive move in the underlying. For the Sigma Channels Indicator, which is an expanded Bollinger Bands, we suggest you overlay three standard Bollinger Bands and modify two of them using +/-1 and +/-3 as inputs and thicker / thinner line styles so it is very clear at which sigma line the price is trading at. For more detials, see the chart below. In statistics, Sigma means standard deviation from a mean. In trading, when we say "GOOG is at +2 Sigma," it means Google is trading at 2 standard deviation above its mean, hereinafter its 20 day moving average (i.e., it is at Upper Bollinger Band). As avid students of volatility, we monitor prices using +3, +2, +1, -1, -2 and -3 Sigma Channels. This method tells us how "stretched" the prices are. A good long trade normally is when prices move between +1 and +2 Sigma Channels. Conversely, a good short trade normally is when prices move between -1 and -2 Sigma Channels. Here is how it should look like once you apply it to your favorite stock....mine these days happens to be Raytheon (RTN) !! As the year draws to a close, we take stock of where we are. We calculate our P&L and our returns for the year. We see how well we’ve done; what we’d do differently, and what we’d do better… It’s easy in these moments to lose sight of the bigger picture, of what exists outside our world of the markets. The holidays remind us to look beyond ourselves, to be good to others, to spread kindness and good will, to take care of the poor and the less fortunate. We also are reminded to be grateful for what we have: our families, friends, and colleagues; for our homes and treasured possessions, and for memories that are priceless. As I count my own blessings, I am grateful for all of you in this community, a growing, vibrant, and dynamic place of ideas and camaraderie. This website would not be the same without each of you. I wish you all the best this holiday season, and a happy, healthy, and prosperous New Year. It fires too often and at the wrong place. I would also like the crossover alert to be triggered only if the the value of Plot1 is above 50 or below -50. Any suggestions. cdavis, Welcome to this Forum. // Format your indicator so it will "ALERT"
20. And on the radarscreen the values for the symbols don't match the TSI value plot. Your Alert will only trigger when both conditions on same bar are correct. Yes, I know it will only trigger when both conditions on same bar are correct. But I am watching the TSI indicator and it crosses under 20 and does not trigger and the alerts are on. Is there someone that could change the code to make the alerts work. CI Diff for RadarScreen was released last Friday as a part of our Proprietary Indicators Package. Hey there...I have what u r looking for I belive... I just do not how to post an image here...lol How can I get a copy of this screen to you? I am trying to add a Histogram plot to the TSI indicator, much like the one in *MACDColor where the color of the histogram bar changes based on its value and whether it falls inside or outside a "noise" range... Can't seem to get it to verify though.. Here's the code as I've tried it. Any help in getting it verified would be appreciated. And here's the Code... function has been modified so it won't overwrite any current TSI function. I need some help though. I expected the histogram bars to cross the zero line when the TSI and XAvg lines crossed... (as they do with the MACD signal lines)... But they don't ... Can anyone tell me what I've done wrong here and help out with a fix...? I read Bill Blau's book a few months ago and I happened to stumble across this thread today. Although the book is quite interesting and informative, if I remember correctly I was not able to get any automated strategy working based on his indicators. I was wondering if anybody else got an automated strategy out of his ideas and would like to point out a general direction so I do not waste time with all of his indicators. Thanks. You just need to change style how indicator prints. You can change it to histogram. I would appreciate a suggestion on how to design a strategy that triggers a long when TSI moves above Zero, or a short when it moves below. Just starting out with easy language here and not familar with how to do this type of a trigger. Terrible indicator- Choppy market chews up any profit. During the last two weeks, I have used it, for my own trading, with a minor modification in its presentation. The change has been partly possible thru using some new graphical programming tools released in TradeStation version 8.4 and up. What I changed was to add the color scheme given a variable trigger level on the smoothed CI. Once it level is triggered, its color changes from white to RED for a SELL SHORT entry, or alternately, from white to GREEN for BUY LONG entry when it hits the negative of the trigger level. You set the trigger level. The default is +/-10. 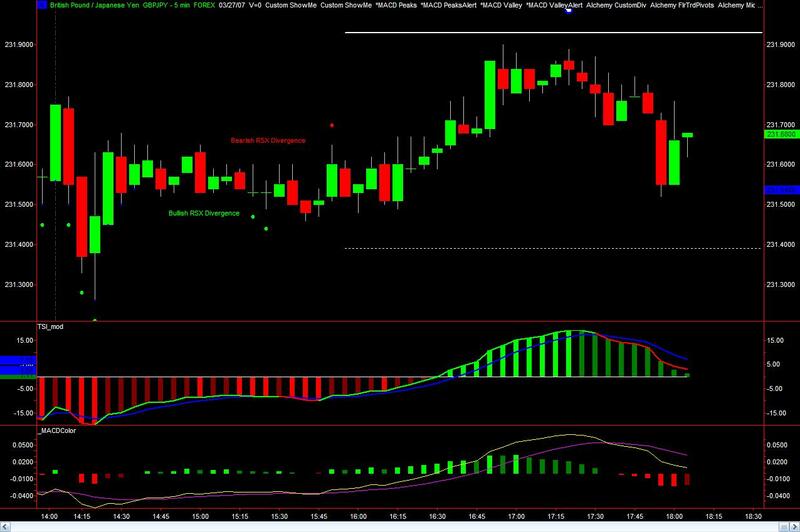 Inline with our past practice, we offer free trial with any new indicator or major upgrade. Those of you interested to test-drive the Improved CI, drop us a note at Admin@HamzeiAnalytics.com with your TradeStation Customer Number (it is 5 or 6 digit number found under TradeStation Help About). We will send you our Improved CI, CI Diff and Sigma Channels good for a 60-day free trial. To get this trading tool to all interested parties with the least amount of admin impact on us, we will honor all requests up to, and including, April 1st. Are these high-volatility markets getting you down? Have your iron condor and short-option strategies blown up? How about a delta-, gamma- and vega-neutral strategy (almost) that profits from time decay and gives you a near-break-even exit strategy if another killer move against you happens? Jim Bittman, Senior Instructor at The Options Institute of CBOE, discusses the positives and pitfalls of ratio spreads. Jim Bittman is the author of three books. Options for the Stock Investor is a primer for beginning option traders that discusses basic strategies and essential concepts about option price behavior. Trading Index Options reviews intermediate to advances strategies such vertical spreads, straddles, time spreads and ratio spreads. Trading Options as a Professional is designed for the experienced who wants to learn about delta-neutral trading, synthetic positions, setting bid and ask prices and managing position risk. This page was generated in 1.35 seconds. 2003-2019 TradeStation.com.